To Ger or Not To Ger? It was a no brainer for us city folks. We love Nature, we’re quite open to new adventures, but……. 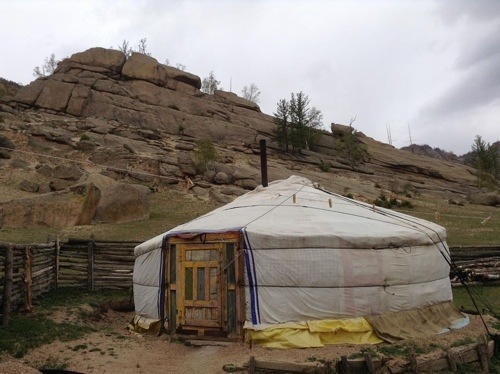 A REAL nomad family lives here. Spent time with them and had lunch in this ger. This is LUNCH. 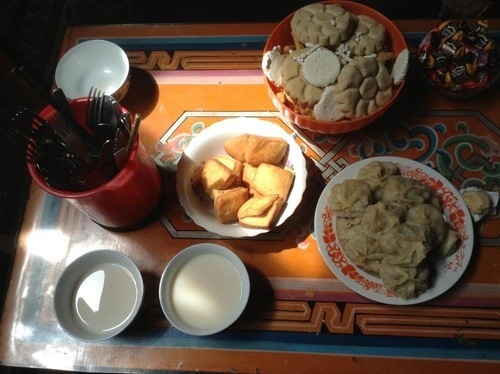 Milk tea, homemade bread, biscuits, dumplings. No sleeping in the “ger” for us. 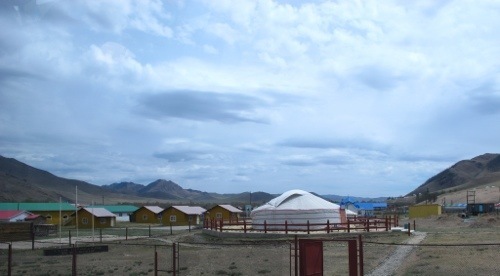 These circular tents are meant for nomadic families. 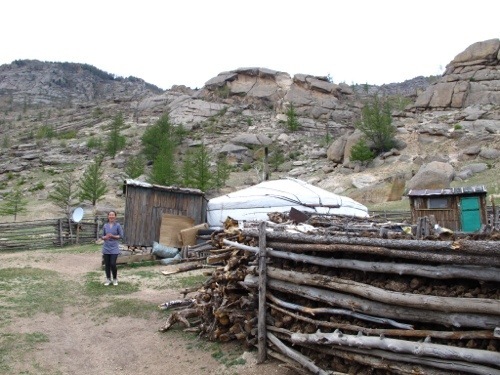 About 70% of Mongolians still live in them. They’re used to it. It suits their lifestyles. Us? We’d stay a day with a nomad family, watch them cook, eat lunch with them, check their livestock grazing somewhere in the field, and pray to God our bladders will hold till it’s time to head back to our hotel in the city. 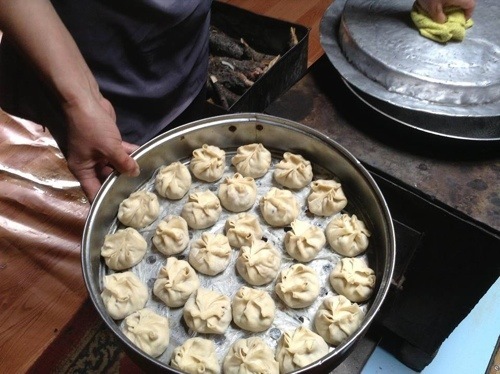 Homemade dumplings, STEAMED. Then the same boiling water was used to make our coffee. No kidding! More…… the excess hot water was used to clean the dishes. 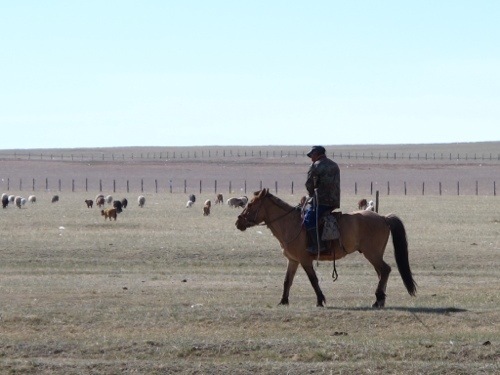 Lone horseman herding the livestock. Busy on his cellphone! Say what you like, but sleeping in a ger is out of the question 🙂 I can’t imagine myself walking out of the tent in the middle of the night just to pee. That wooden structure they call “toilet” does not suit me. And I do need my hot shower so forget it. Come to think of it, neither would it do for “during the day” pee breaks. One of us checked it out, described it, and the idea “locked our bladders shut” till we got back to our hotel. They call her “something” which sounds like Kirle, or Girle. Whatever. She cooked lunch for us, and charmed us with her simplicity. This is Kirle’s ger. 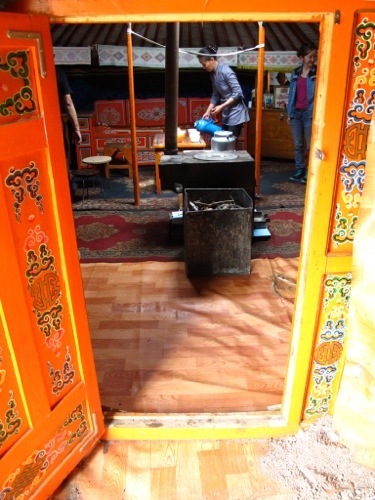 A small circular tent with 3 beds around the stove which serves to warm the residents inside. Outside are the makeshift livestock pens. The “modern” way to stay and sleep inside a ger. Western toilets but still outside the tents. And a modern hotel just a few steps away. Another tourist ger camp. 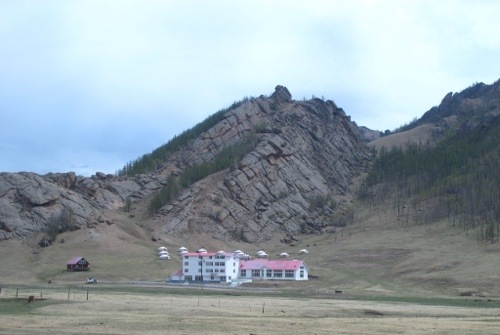 I expect more tourist camps to sprout out in the vast Mongolian plains. Hi Pinkay! Thanks for dropping by. Always wondered about the gers. Fascinating. Thanks for bringing it to us! « Stainless Chinggis, No Less!